The number of devices we carry around with us each day keeps growing, and what do they all have in common? A penchant for power. 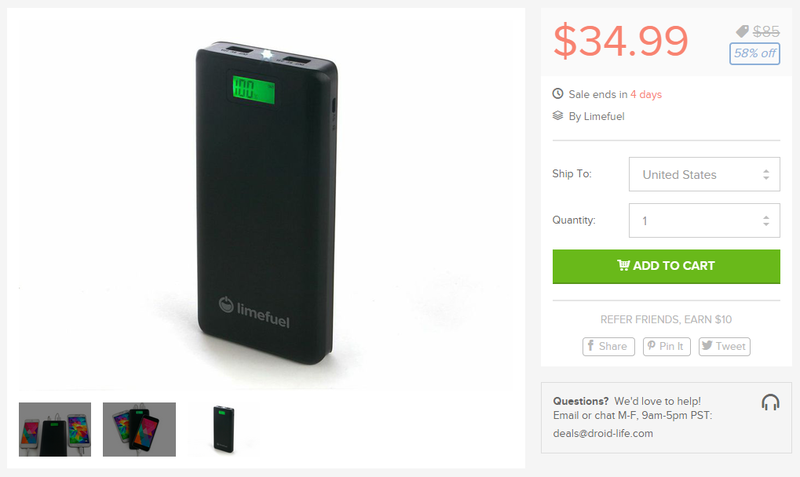 Even batteries with large capacities have their limits, which is why packs like Limefuel’s LP200X (on sale for $34.99 on DL Deals) really come in handy sometimes. Perhaps the most important question is, will it fit in a coat pocket? At 6.4×3.1×0.9 inches, you should have no trouble stuffing it into your Chesterfield. The LP200X is also won’t weigh you down – it is relatively light at 15 ounces. Need to extend the life of your smartphone and/or tablet and/or laptop? Check out the link.